The feature is coming to iOS and Android over the next few weeks. 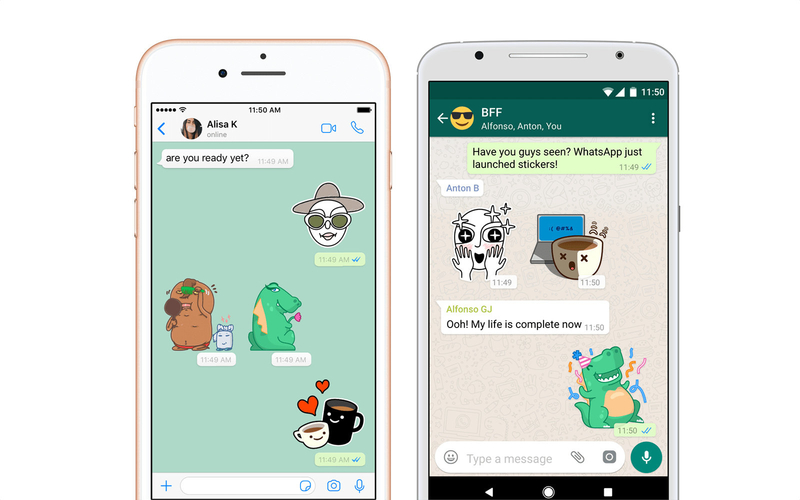 WhatsApp has GIFs and emoji, but for some users, those may not be enough to fill the void meant for stickers. Now, messaging app has finally announced that it’s adding support for stickers and releasing sticker packs created by its own designers and a handful of other artists. To make sure that its sticker store will continue to grow, the Facebook-owned application has also released APIs and interfaces that will allow third-party creators to design their own packs. Using a sticker is as easy as tapping on the new sticker button and choosing the one you want to use. Take note that the selection will (obviously) be pretty limited at first, and you might not even have access to the feature yet. WhatsApp says it’s making its way to Android devices and iPhones over the coming weeks. According to some outlets, though, rollout has already started, so make sure to check for updates every now and then. Sharon is a creative writer and graphic designer and a graduate of Media and Communication. She also loves traveling & meeting people. Send all correspondence to info@africatechreport.com.